The events keep on coming – and ending with Bracelets – so here we go with the next roundup! Let’s recap last week from Event # 4 through 10. Look out for a familiar name from Australia coming so close to another Bracelet! 1. Kianoush Abolfathi (California, USA) - Winner of Bracelet and $335,389. Other notables: Phil Ivey 21st. 1. Dutch Boyd (California, USA) - Winner of Bracelet and $425,712. 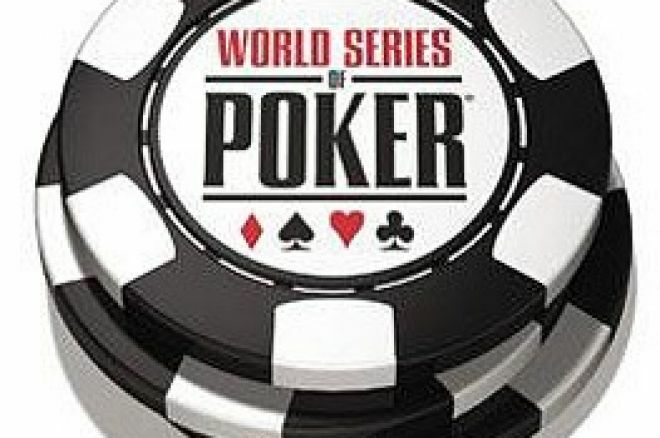 Other notables: Daniel Negreanu 8th, Gavin Smith 13th, Freddie Deeb 21st, Karina Jett 23rd, Kathy Liebert 26th, Erick Lindgren 31st, Mike Matusow 33rd. UK/Ireland cashes: David “Dubai” Shallow 19th ($9,476); Ben Roberts 44th ($6,633); Ian Fraser 67th ($3,790). 1. Mark Vos (Brisbane, Australia) - Winner of Bracelet and $803,274. Other notables: Carlos Mortensen 9th; Max Pescatori 21st. UK/Ireland cashes: Willie Tann 143rd ($3,493); Dave Colclough 147th ($2,794); Padraig Parkinson 152nd ($2,794). 1. Bill Chen (Pennsylvania, USA) - Winner of Bracelet and $343,618. Other notables: Barry Shulman 11th, Phil Hellmuth 13th. 1. Jack Zwerner (Nevada, USA) - Winner of Bracelet and $341,426. Other notables: Daniel Negreanu 7th, Huck Seed 11th, Andy Bloch 23rd, John Juanda 28th. UK/Ireland cashes: Farhad Alaaldin 38th ($3,658). 1. Jeff Cabanillas (California, USA) - Winner of Bracelet and $818,546. Other notables: Marcel Luske 4th, Isabelle Mercier 5th, Rob Hollink 16th. UK/Ireland cashes: Conor Tate 15th ($26,311); Nick Gibson 45th ($8,770). 1. David Williams (Texas, USA) - Winner of Bracelet and $163,118. Other notables: Johnny Chan 7th, Humberto Brenes 19th. Once again, congratulations to the Bracelet winners and all those who have cleared their buy-ins, especially from this side of the Atlantic Ocean. A special mention goes to David “Dubai” Shallow (who gave UK Poker News an interview not so long ago) for his 19th place in the $2,500 Short-Handed event! Ed note: Play poker with David “Dubai” Shallow. Download Betfair Poker for the biggest games.